Like many of you, I am a fan and collector, just as much as I am a participant in pop culture. 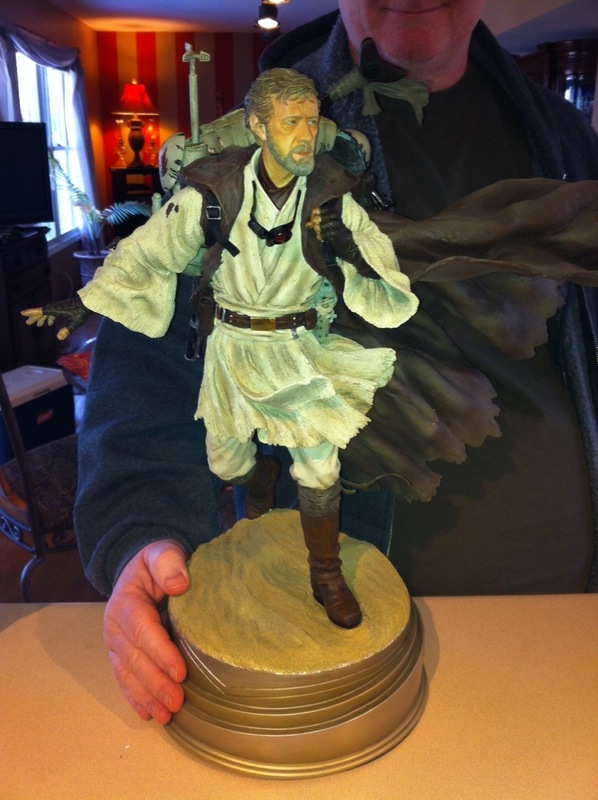 To that end, I received this really fun Star Wars Obi-Wan sculpture Thursday from Sideshow Collectibles and I wanted to share it with you in case any of you collect and they’re not sold out already. I bought this piece at SDCC last year, and good things come to those that wait, but this one was 2 months overdue. However, it was worth the wait. It comes with the Ewan McGregor-version head sculpt as well, interchangeable. I prefer the Alec Guinness version because I’m old school Star Wars. I wanted to take this moment to thank all of you who caught my lightning fast appearances on WGN Morning News in the past couple of weeks, and especially thank all of you who showed up last night for the premiere of Cris Macht’s film, “A Force Within Us,” which granted me more than my share of on-screen time. The DVDs are $20 each and there are a few left, so get your copy now if you can. It was also nice to reconnect with Mark Voss of Post Meridian, who will be helping me out with my online classes, which will be happening sooner than later. Be sure to write to denise@writebrainmedia.com to get on the list for my first-ever public offering of online classes and portfolio reviews. Watch for my banner ads on Sandtroopers.com as well. Can You Come to the Star Wars Documentary “The Force Within Us” Movie Premiere? 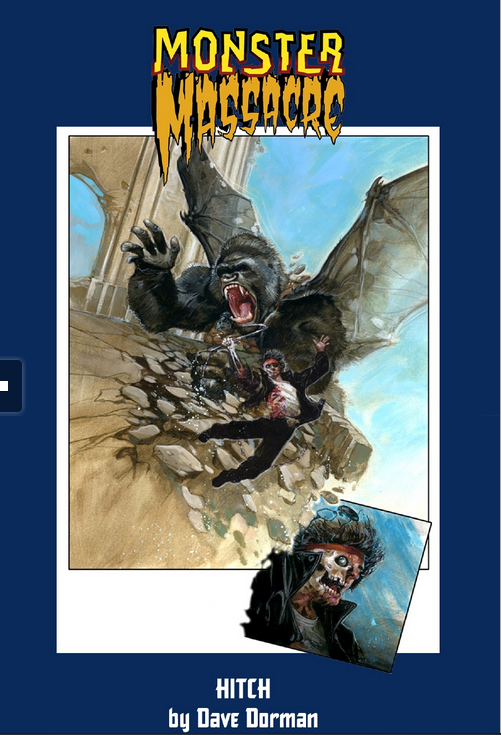 If you love horror and monsters like I do, be sure to buy this book and have me sign it for you at San Diego Comic-Con. I’m always at Booth #4500. I will have a table again this year at the C2E2 Show in April at McCormick Place, so if you’re coming to Chicago, please look for me there as well.